How Can You Find That Perfect Drum Set? Buying drums is great fun, but it can also be a bit overwhelming. Not only do you need to find the right drums, but there are the cymbals to consider, not to mention cymbal stands and bass drum pedals. Hopefully this buying guide will take some of the apprehension out of the experience so that you can enjoy the FUN! Who will be using the drumset? If you are buying for a beginner, my advice is to consider a basic 5-piece drum set(snare, bass drum, and two mounted toms) with cymbals, pedal, and hardware included. Fortunately there are several companies that make relatively inexpensive but good quality starter sets. Some brands to look for are Ludwig , Pearl, Percussion Plus, Pulse, and Tama. Often the cymbals and hardware that come with these sets are not of superb quality, but if the basic set is good quality, you can later upgrade the peripherals (think future Birthday and Christmas presents). 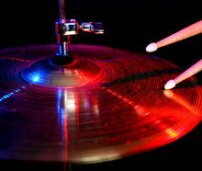 If you are an experienced player, you might want to consider just upgrading your cymbals and hardware. If you already have the cymbals and hardware that you want, you can buy a "shell pack" which consists of the drums themselves with no additional hardware except the rims and tom mounts. You will also want to think about getting the right set of drums for the type of music that you play. A rule of thumb is that kits with fewer and smaller drums are a good fit for jazz, traditional blues, and other primarily acoustic forms of music, while drum sets with larger drums are better for rock and other more amplified styles. 1)The mark-up on ALL drum sets is usually 50% or more. If you go to the manufacturer and get the list price and take 30% off of that figure,youget a price which is fair to both you AND the dealer. Refuse to pay more than that. 2)If you see a drum set on the floor of a drum dealer's store, you know that it has been paid for with his money. If you are willing to pay half of the 30% figure up front and have him order the set, he will be paying with YOUR money--nothing out of his pocket except the dime and the time for the phone call. 3)You can usually get MUCH better deals from the online dealers. The trick is to go to a local dealer and decide what you want, then check the online prices. I think you will be pleasantly surprised. Check out these Drums for sale! Leave "Buying Drums" and Return To "Absolutely Free Music Lessons"